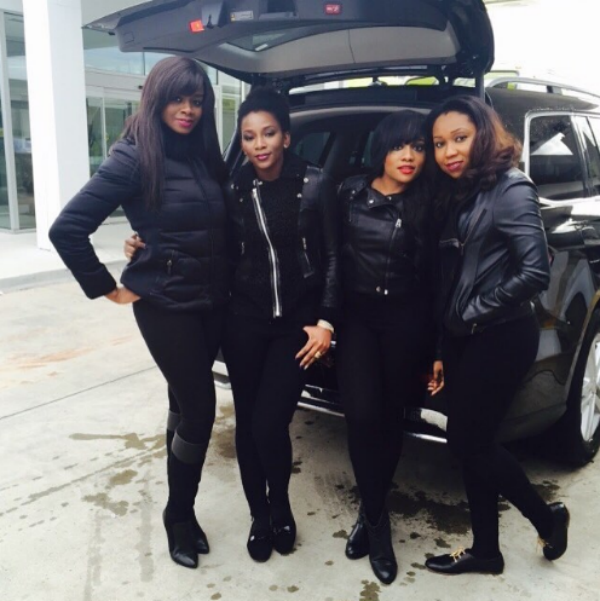 Genevieve Nnaji and her friends look fabulous in a new photo. Genny sported a zipped leather jacket on black pants and matching shoes. The actress styled her natural hair in a top bun, keeping her makeup minimal with the barest hint of red on her lips. Her go-to makeup artist, Onyinye Carter (2nd from right) shared the throwback photo of the four friends.